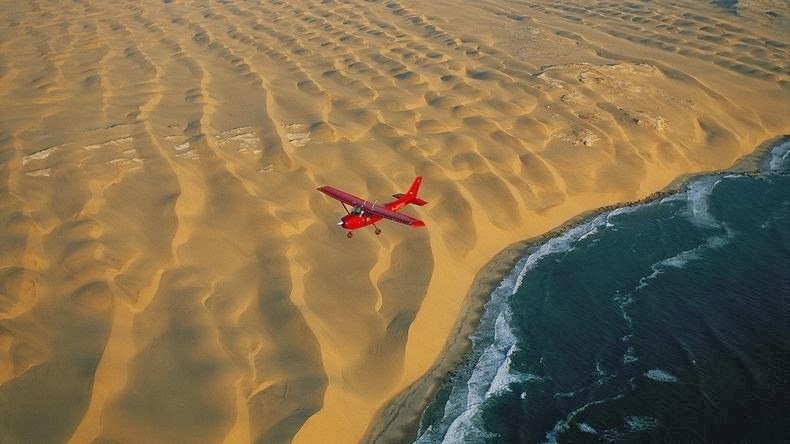 While the sea coast extends for hundreds of miles, one of the best places to see these dunes is at Swakopmund. 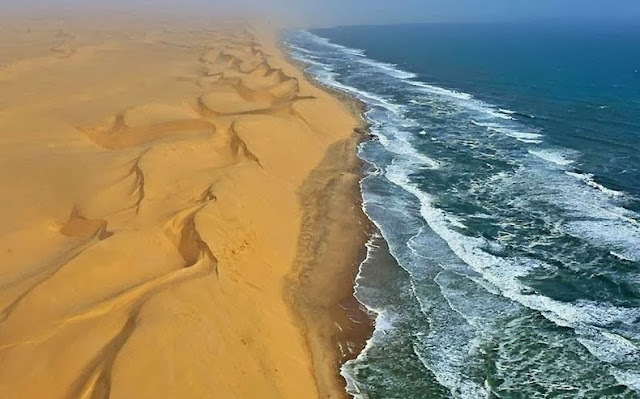 Known as Swakop in Namibia, it is the country's biggest coastal town and a mecca for Namibians on holiday. The city's German origins are quite pronounced in beautiful old German Colonial buildings throughout the city, making an even starker contrast for this town sitting at the edge of the Namib Desert. From here, helicopter ride is available that flies you around the Skeleton Coast and the Namib desert in general.